Today Canyon unveils its second ever e-MTB, and it’s called the Neuron:ON. 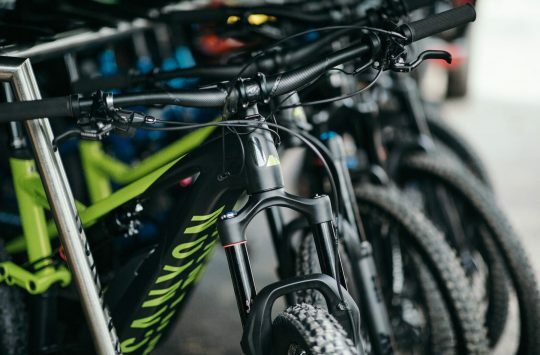 Following hot on the heels of the Spectral:ON – Canyon’s burly, 150mm travel e-MTB that was released earlier this year – the Neuron:ON glides into the lineup as the little brother to the Spectral:ON. 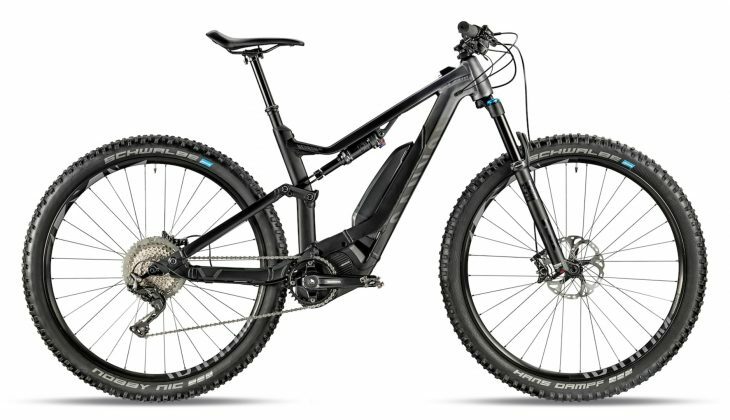 The two bikes do share a lot of design features, with the Neuron:ON getting a similarly tough-looking hydroformed alloy frame that’s been built around a semi-integrated Shimano Steps E8000 motor and battery system. 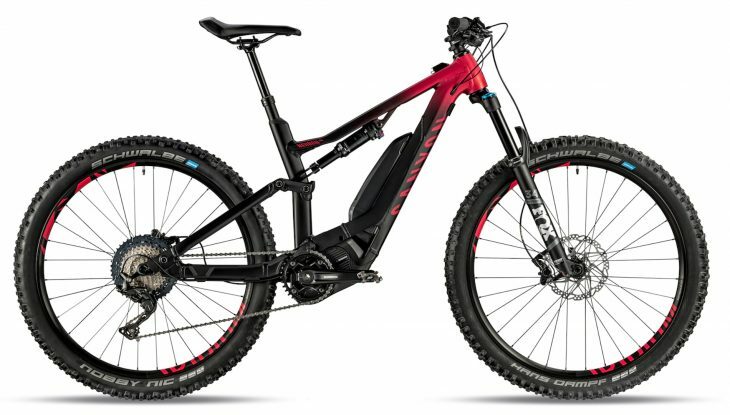 Though perhaps not as clean as a fully integrated design, the battery is designed to be easy to remove for recharging, or perhaps even a mid-ride swap for the ambitious. The Neuron:ON does introduce a new, and rather clever, USB charging port which is integrated into the front of the top tube. This allows you to charge your smartphone, light or GPS off the big battery pack. Tidy! The Neuron:ON is a new e-MTB from Canyon for 2019. Compared to the Spectral:ON, the Neuron:ON doesn’t have quite as much travel with 130mm at either end. Canyon also says the suspension rate is more linear to provide more comfort and sensitivity, but that suggests there may be less bottom-out support for the bigger hits and drops. 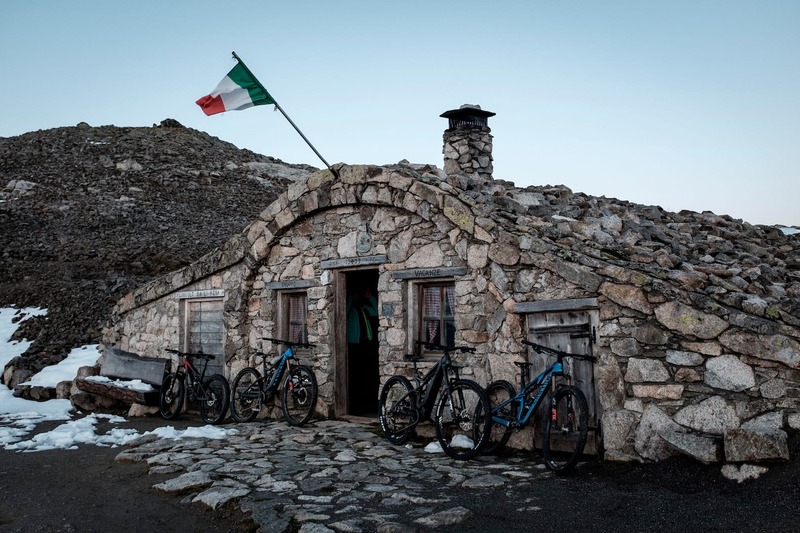 Geometry has also been geared more towards all-round trail riding and long distance touring, with slightly steeper angles and a more upright riding position. The spec reflects this, with lighter weight tyres and forks across the board. The Neuron:ON also skips the mis-matched 29/27.5+ wheel and tyre combo of its bigger brother, instead electing to run the same size wheel front and rear. On the smaller sizes (XS, S) you’ll find 27.5in wheels, while the bigger sizes (M, L, XL) get 29in wheels. The heavy duty alloy rims are e-MTB rated, and come wrapped with chunky 2.6in wide tyres. Looks like quite the party. We only have basic details on the Neuron:ON at present, we’ve listed the spec rundown for each model below. There will be three price levels for the 2019 range, with the entry-level Neuron:ON 5.0 and mid-range Neuron:ON 6.0 also offering women’s specific builds. The top-end Neuron:ON 7.0 is unisex only however. 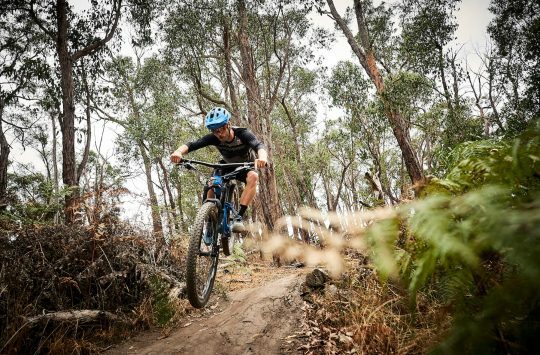 With pricing starting at a lick under three grand, Canyon appears to be offering some pretty good value with its new full suspension e-MTB. 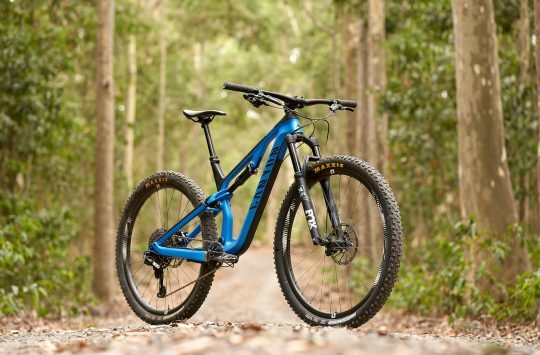 We were impressed with the Spectral:ON that we reviewed earlier this year, and it also surprised us with just how high it could climb and how far we could go in our range experiment. The entry-level Neuron:ON 5.0 retails for just under £3k. 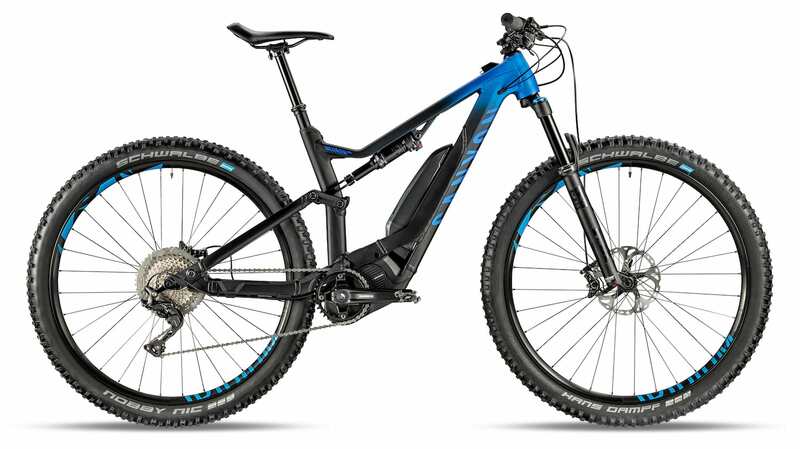 A Fox suspension package lifts the spec and price of the Neuron:ON 6.0. The top-end Neuron:ON 7.0 features a host of upgrades, including a Fox Transfer dropper post and M8000 hubs. Neuron on, and on and on….